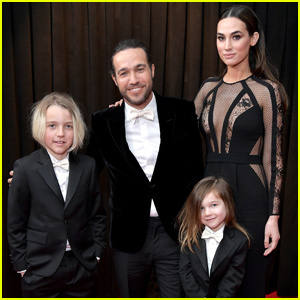 Pete Wentz Brings Girlfriend Meagan Camper & Sons Bronx & Saint to Grammys 2019! Pete Wentz is celebrating Fall Out Boy‘s Grammy nomination with his entire family! 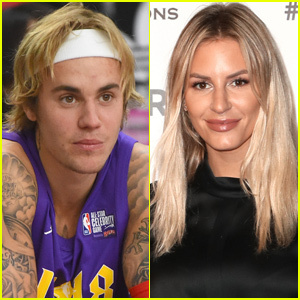 The 39-year-old musician was joined by longtime love Meagan Camper while stepping out at the award ceremony on Sunday evening (February 10) at the Staples Center in Los Angeles. They were also joined by their son Saint and Pete‘s son Bronx from his marriage to Ashlee Simpson as well as Pete‘s parents. Pete also hit the red carpet alongside the rest of Fall Out Boy – Patrick Stump, Joe Trohman and Andy Hurley. The band is up for their first Grammy for Best Rock Album for their recent release Mania! FYI: Pete is wearing a Saint Laurent blazer, a Givenchy shirt, Burberry pants, and Magnanni shoes. Bronx and Saint are wearing Brooks Brothers suits and Vans shoes. Lil Peep & iLoveMakonnen Feat. Fall Out Boy: 'I've Been Waiting' Stream, Lyrics & Download - Listen Now! Lil Peep, iLoveMakonnen and Fall Out Boy is here, and you can listen to it right now. 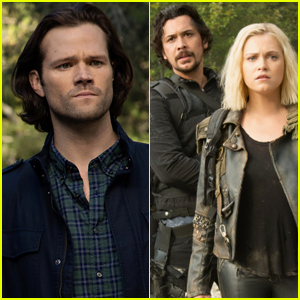 The late rapper’s team-up with the 29-year-old musician and the “Centuries” hit-making band dropped on Thursday (January 31). 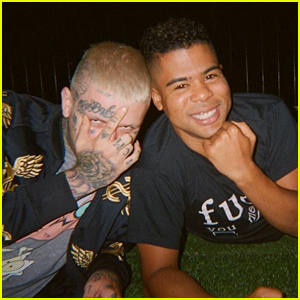 This is the second time Peep and iLoveMakonnen teamed up together, following their collaboration “Sunlight on Your Skin” released in September of 2018. “My relationship with Lil Peep was one of a kind. We were two like-minded artists collaborating to make a new style of music that the world has not heard before. It was a pleasure to work with him and his loss has been devastating. I hope that the music helps bring closure and happiness. All the songs that Peep and I have worked on are special to me. I knew adding his heroes Fall Out Boy to ‘I’ve Been Waiting,’ would be a tribute to my friend and collaborator that I could feel proud of. When I called Pete he immediately said yes, and it came together very quickly. I’m really excited to share this with the fans,” said iLoveMakonnen. Listen to “I’ve Been Waiting” and check out the lyrics below! Kristen Bell Addresses 'Frozen' Rumors While Guest Hosting 'Ellen' - Watch Now! Kristen Bell is taking over for Ellen DeGeneres! The Frozen actress guest-hosted The Ellen DeGeneres Show on Thursday (May 31). Credit: Michael Rozman; Photos: Warner Bros.
Fall Out Boy: 'Mania' Album Stream & Download - Listen Now! Fall Out Boy just released their latest album! 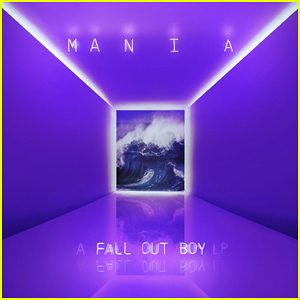 The guys – Pete Wentz, Patrick Stump, Andy Hurley, and Joe Trohman – just dropped their seventh studio album Mania and you can listen to it now! Mania was originally supposed to be released back in September, but was pushed back to now because they felt it wasn’t “ready” yet. “The album just really isn’t ready, and it felt very rushed,” Patrick said at the time. You can download Fall Out Boy‘s new album off of iTunes here. 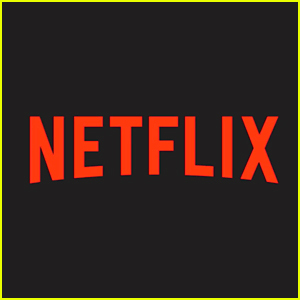 Fall Out Boy Feat. BTS's RM: 'Champion (Remix)' Stream, Lyrics & Download - Listen Now! BTS leader RM and Fall Out Boy just collaborated on an epic new version of “Champion”! The “Champion” remix will be released everywhere on Friday (December 15) at midnight. 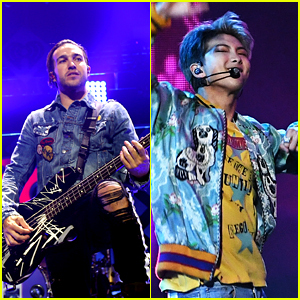 After working with Steve Aoki and Desiigner on the “Mic Drop” remix, RM‘s Fall Out Boy collaboration is the latest impressive international move for the boys of BTS. Check out the hot remix of “Champion” below! You can also download the song on iTunes. Camila Cabello, Liam Payne & More Light Up the Stage at Hot 99.5's Jingle Ball 2017! Camila Cabello and Liam Payne brought the heat to HOT 99.5′s Jingle Ball 2017! The “Havana” superstar and the “Strip That Down” pop prince both performed at the concert series on Monday night (December 11) in Washington D.C. Along with Liam and Camila, concert attendees also enjoyed electrifying performances from Logic, Julia Michaels, Charlie Puth, Zedd, Halsey, Why Don’t We and Fall Out Boy. “Washington DC you were on it tonight!! Thanks for making the show 🙌🏼❤ #iHeartJingleBall,” Liam wrote on Instagram.